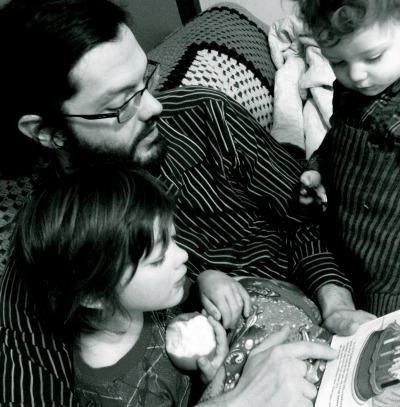 Jason Patrick Crawford is a father of three ram-bunctious boys and has been happily married for over ten years. He lives in sunny California, where he constantly laments the lack of rain, but he dreams of moving to Hawaii and writing full-time. His gaming career has honed his creativity, fueling his flights of fancy. Samuel Buckland is a young man who has it all and is planning for the future. Gregory Caitlin is a businessman and politician. He has designs to bring hope back to a world in need...and he'll be damned if anyone gets in his way! When the two cross paths, even the angels tremble. An ancient magic has been rediscovered. Sam must overcome his lack of faith and accept his destiny, or the world he knows will suffer the consequences. A skeptic who must harness the powers of demons and genies. A zealot who has begun to walk a darker path. Bound together by a stolen secret. 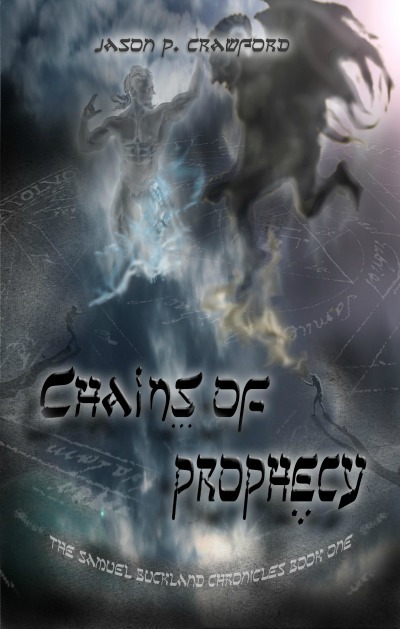 Can any of them escape the Chains of Prophecy? Then Death comes for him. With no choice but to run, he must find allies who can protect him until he learns why he is being pursued. Welcome to the world of the Essentials. Daphne Gianakos begins having strange dreams as she prepares for college life at the University of Florida. Soon, she encounters a strange man who triggers conflicting emotions within her - the last surviving Greek god. She must learn who she is, who she was, and the truth about what has happened to the rest of the gods...or the world will pay the price. A relic of unknown origin appears on Earth . . . and, through a series of coincidences, falls into unexpected hands. A hidden organization guards the secret of the relic and will do anything to retrieve it. Army Veteran Cameron Mitchell must call on his military experience to piece together the mystery before time runs out, all while protecting his greatest treasure - his son.